I request to manager sir my sbi net banking account lock.i want to re lock my account.I am now out of country.please neeo help me sir. Dear Customer, HOLD has been placed on your Acc XXXXX691949 for 1,500.00 for the reason CA OD . I am a account holder of your branch. Recently i am in kolkat. My ARM is currently blocked due to Exchange of a new one with chip. And my phone number is blocked too some time ago. Its not possible to generate PIN going over there. So kindly upadate my phone number so that i can generate a new PIN from any branch in kolkata. Or kindly transfermy account. Waiting for your quick respons, so that i can provide you essential data. 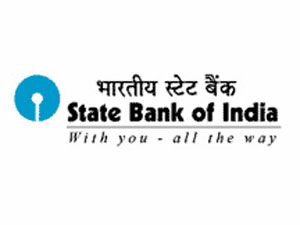 it is to inform you that I had done RD (A/C No-37236451747) from SBI, ADB Galsi on 13th Oct.2017 and the SIP of Rs 10,000/- monthly was debit from my pension A/C No-11320023024 situated in the same branch.I received a SMS on 15th Oct.2018 from SBI that the amount of Rs. 295/- debited from my pension account for SI falis, whereas the SI for my RD was over on 10th sep. 2018. On checking my RD account through net banking, it was found that the maturity date of RD is wrong entered as 13th Oct. 2019 instead 13th Oct.2018. Therefore, you are requested to make necessary corrections at your end and to credit my Rs. 295/- which you have wrongly debited from acccount and also correct my SIBIL. It is for your kind early action and intimate me the same at earliest. Do the bank have the right to auto sweep any amount they feel like from the bank account without the acknowledgement of the account holder? If it happened how that amount can be credited to the personal account? I had balance of 2820.93 at 9:11am. But my issued cheque get bounced chq no.429823 and dishonoured amount charges 590.00 why it so? ?